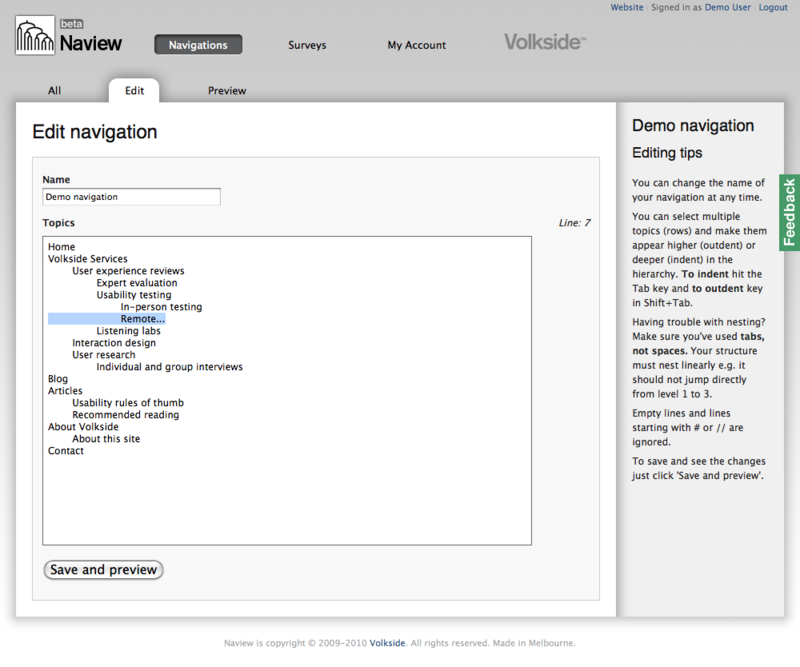 To get a feel for your navigation copy and paste or type your IA structure into Naview and preview it immediately. There is no need for coding to simulate real website menu behaviour. Getting a feel for different navigational structures could not be simpler. Naview is designed to be used iteratively, just edit your IA structure directly in the browser and then save to preview the changes. You can also create copies of navigations and maintain multiple versions easily. 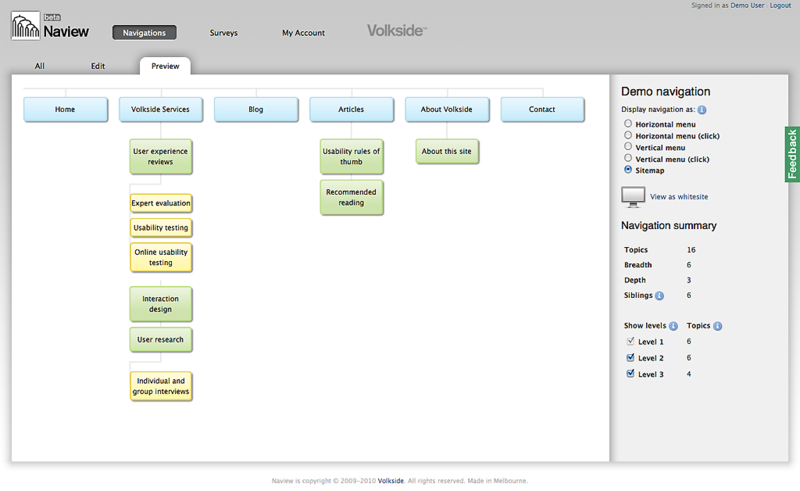 You can preview your IA structure as a horizontal or vertical drop-down menu or as a sitemap. Being able to easily switch between different views gives you a better understanding of the structure you are designing. 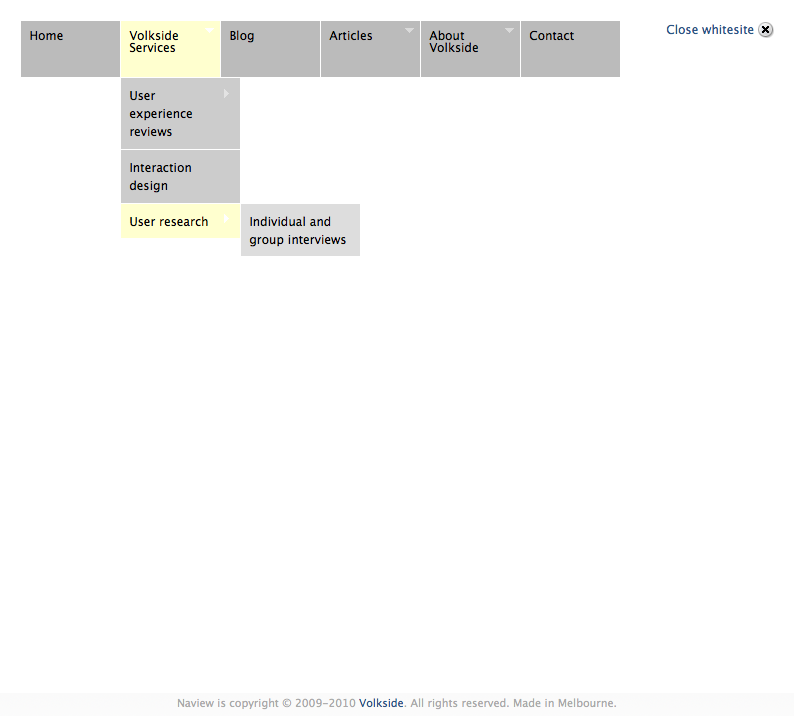 Sitemaps are often created and stored in spreadsheets. You can easily copy and paste your IA from a spreadsheet or text file into Naview and preview the navigation instantly. 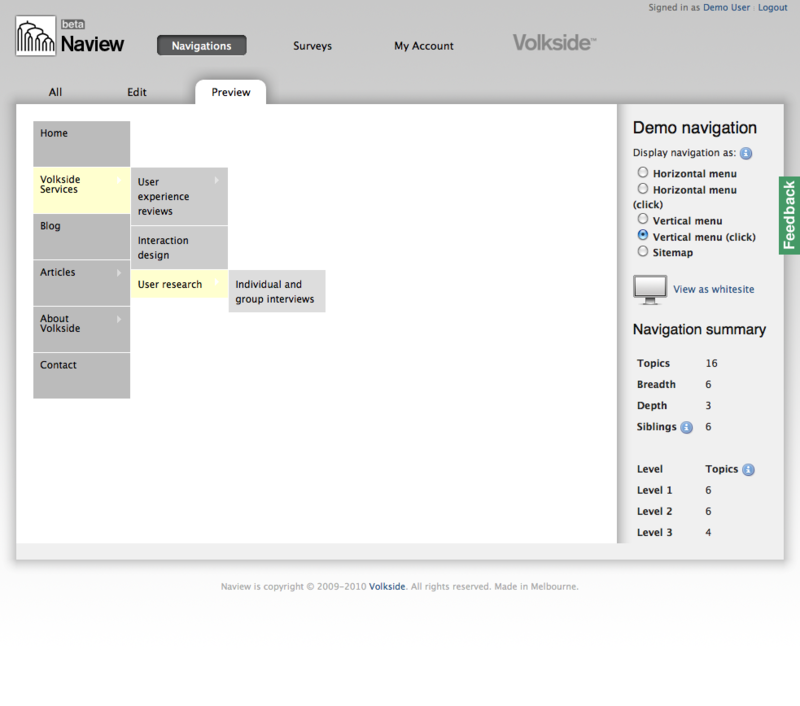 Naview lets you see the dynamics of the navigation menu. Evaluating your navigation structure this way often reveals issues and areas for improvement that are not apparent in a static sitemap view. Naview’s whitesite mode lets you display your navigation structure in isolation, without other distractions on the screen. 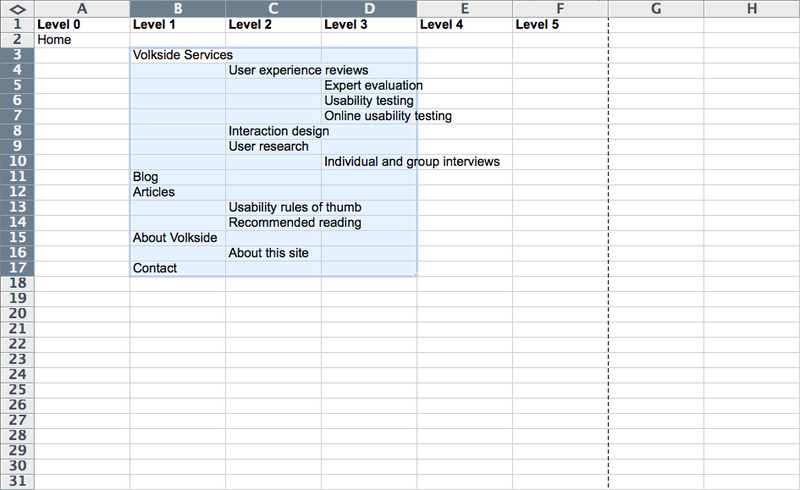 This helps your users focus on the structure and labels when conducting moderated usability testing. You can use Naview to create surveys and conduct task-based user testing remotely. 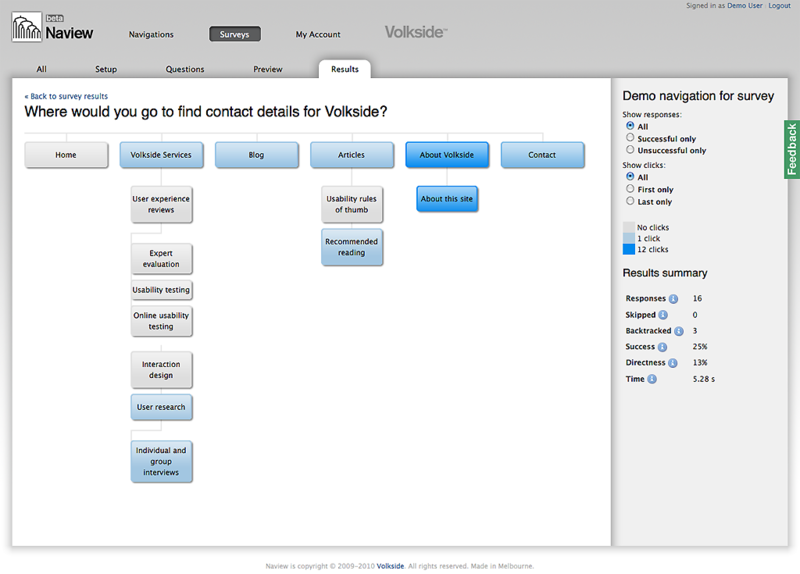 Surveys consist of a previously created navigation and a set of questions (tasks) you want your users to answer. 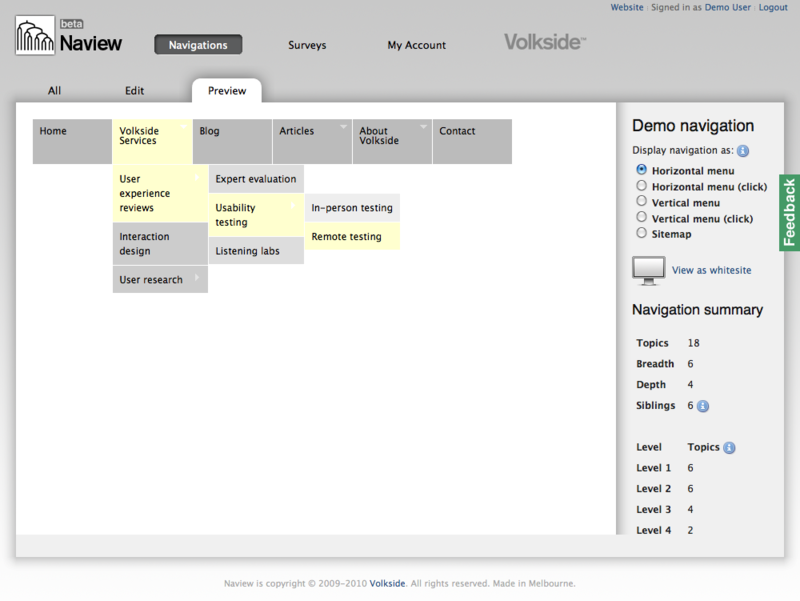 Naview’s unique sitemap-heatmap view lets you view and analyse users’ survey responses visually. 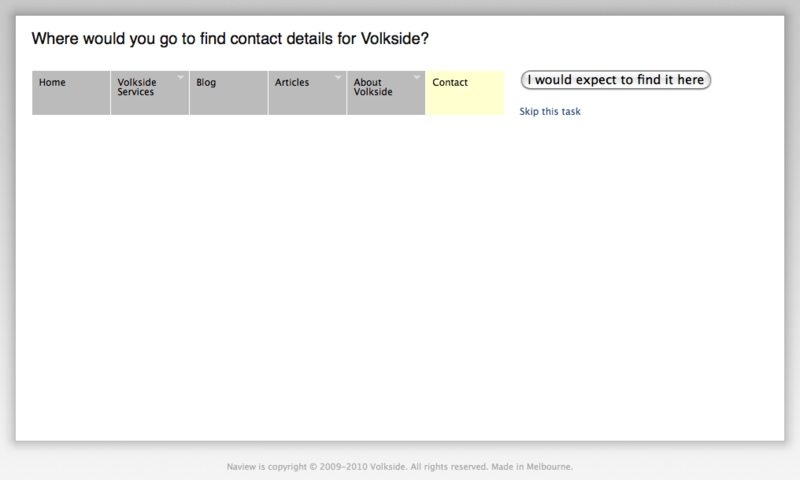 You will see exactly where users navigated to when answering a question. You can also drill down separately into successful and unsuccessful responses.